Before you can get a mortgage, student loan or personal loan, lenders usually first check your credit score. But one lender – a San Francisco-based startup called SoFi – is changing all that. In fact, you can get a loan with SoFi even if you have no credit score at all. That’s because, as of January 2016, SoFi has thrown out credit scores when considering loan applications. “We just don’t think the traditional FICO score is all that important,” says SoFi co-founder Dan Macklin. Macklin explains that for SoFi, other factors carry far more significance and are way better at predicting who will repay a loan. So exactly what are those factors? “First, you have to have a job,” Macklin says. After that, SoFi takes a detailed look at your payment history, income versus your expenses, cash flow, and your career stability. “And we still do pull a credit report,” he adds, to ensure that an applicant has a good track record of paying various bills, like auto loans or credit cards. 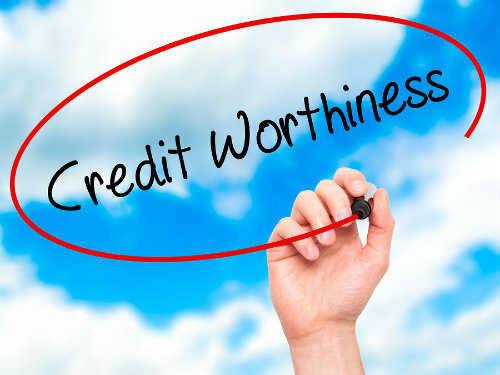 But why not double-check an individual’s credit score too, for added assurances about a person’s credit worthiness? According to Macklin, FICO credit scores represent an “old and irrelevant” way of judging loan applicants. “A lot of Millennials don’t even use a credit card today,” he says, noting that these potential borrowers may have “thin credit files” or no credit at all – which makes their traditional credit scores skew lower. But SoFi believes a lot of them, and others, are nonetheless better credit risks than most credit scoring models suggest. At first blush, this approach seems like heresy in the world of lending. And in many ways it is. But Macklin insists the company’s approach is backed by a large amount of internal testing and data. SoFi – which is short for Social Finance – has been around since 2011 and is best known for refinancing college loans to undergraduates, graduate students and those who’ve finished college. To date, SoFi has issued more than $7 billion in loans, and that volume is quickly growing, particularly beyond the student loan arena. “In fact, in December 2015, we did about $900 million in loan volume and more than half of that was mortgages and personal loans,” says Macklin. “FICO scores have never been a huge part of our decision making,” he notes. But in the fall of 2015, SoFi started testing what would happen if the company threw out credit scores altogether. It turned out, he said, that there was no real difference in loan quality or the types of customers they approved. “We were even able to write more quality loans,” he said. SoFi currently approves 60% of loan applicants. Refinancing federal and private student loans with SoFi saves a typical customer about $14,000, the company says. You must have at least $10,000 in student loans. Personal loans are capped at $100,000 and begin at a minimum of $5,000. And to date, mortgages are available through SoFi in roughly half the states in the country, including California, Florida, New Jersey and Texas. None of this means that you can afford to have late payments or poor credit habits and still get approved for a loan – with SoFi or elsewhere. Rather, it’s a sign of the changing landscape and disruptions taking place in the world of alternative lending. So far Wall Street is watching and the rest of the lending marketplace is surely keeping tabs on SoFi as well. It certainly doesn’t hurt that SoFi secured a massive $1 billion in Series E funding in 2015 – the largest ever capital infusion by a firm in the emerging fintech space. If SoFi’s business model continues to succeed, the changes it’s ushering into the industry just might prompt traditional banks and mainstream lenders to change too.